01 To prepare the Yorkshires. Sift the plain flour into a bowl. To make the batter, tip the flour into a bowl and beat in the eggs until smooth. Gradually add the milk and carry on beating until the mix is completely lump-free. Season with salt and pepper, and then pour the batter into a jug. 01 Roast the beef over an in-direct medium heat for approximately 1 ½ hours. 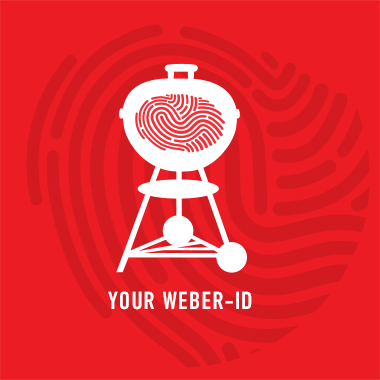 Use the Weber Premium Grill Rack. 02 Once the beef is cooked, remove from the barbecue to rest. 03 Meanwhile, preheat a Yorkshire pudding tray with a little of the dripping in each compartment for approximately 10 minutes. Remove the roasting tray from the grill, pour in the batter, and immediately return to the grill. Bake with the lid down for 15 to 20 minutes, until golden brown and crispy, making sure not to lift the lid for the first 20 minutes. 04 Carve the beef into small strips. Assemble the Yorkshire puddings by adding a dash of horseradish and a strip of the beef on top. Finish with sprigs of watercress.